Check it out - I actually sewed something! More Chicopee (should not be a surprise and there IS more to come :-) as I am completely in love with this line, still. I feel like maybe I should be hoarding it. So this is Green Bee Pattern's Ship Shape Tote - I saw all the fun people were having with it at Sewing Summit and I knew I'd be making one sooner or later. So last weekend while I was oogling all the Quiltcon fun on IG I actually sewed something - crazy, right? And I love it! We're taking a little weekend trip for our anniversary and this is the back I'll be carrying around - yay. I made these muffins to share with Harper's teachers on Valentine's Day and they were yummy. Like I ate two while they were cooling just to "test" them and make sure they tasted ok. I'm not normally a super chocolate person but these complete hit the spot! Preheat the oven to 400 degrees and put paper liners in muffin tins. Makes about 24. Mix dry ingredients in a large bowl. Mix wet ingredients in a medium size bowl - whisk to combine and then add wet ingredients to dry. Stir gently to just combine. Fold in chocolate chips. Spoon or scoop into lined muffin tins (I have a large scoop that I use for muffins and cupcakes and it makes this part super easy). I added some Valentine's sprinkles (of course) before I baked these - totally optional. Bake 20-24 minutes. Muffins should spring back when touched. Toothpick test won't work because of all the melty chocolate chips :-) Let cool 5 minutes in pan and then on racks. We had sprinkles on ours but these would also be good dusted with powdered sugar or even plain. What's the difference between a muffin and a cupcake? Frosting of course! 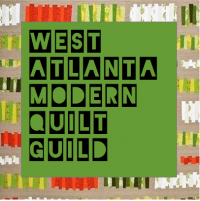 I'm really enjoying seeing all the fun stuff going on at QuiltCon (through my IG feed) but also feeling bummed not to be there. Next time for sure! Hoping to get some consolation sewing done this weekend that I can share next week. Also *really* hoping the kiddo kicks her cold/flu/plague SOON. There's only so much Dora a mom can take and I think I hit my limit yesterday ;-) Have a good weekend! I feel like February has stolen my mojo. Sewing has been slow. Baking has been almost non-existent. Almost. But I'm trying to feel productive while I keep my sick kiddo company on the couch so I have a few recipes to post that I have actually made this month. So this is one of my go-to comfort foods - garlic bread. You heat up a mixture of butter, olive oil, garlic and spices - you want the spices to kind of steep in the warm butter/oil mixture. You can do this in the microwave or on the stove. Brush the butter/oil mixture over your bread and if it's cheese bread that much better. Sprinkle with shredded cheese - I used the 6-cheese Italian Blend with some extra Parmesan thrown in for good measure. Stir to mix and let sit for 5-10 minutes to blend flavors. Brush on bread, top with cheese. Bake at 400 degrees for 10-12 minutes or until as brown and bubbly as you like. You can store and leftover butter mixture in the fridge for a couple of days. I've also just gone ahead and mixed the shredded cheese in the leftover butter mixture and stored it all together in the fridge. Just spoon butter and cheese mixture on bread and toast same temp/time. Back tomorrow with some easy and delicious chocolate muffins. Hope February is treating you better than it is us! Well hi! Lately I feel like I blink and whole weeks have passed - anyone else got this going on? So here I am, happily back and sharing some yummy recipes from my sister. My first disclaimer: these are dangerous. They are easy to make, easier to eat and they are way tastier than the sum of their parts. Consider yourself warned. Square pretzels, rolos and m&m's - layer the preztels and rolos and bake in a 350 degree oven for 3 minutes, then take them out and smoosh the m&m on top. Let cool and eat. And eat. And eat. I only had plain old Crisco and the cookies turned out just fine with it. We also added some Valentine's sprinkles to half the batter, just for fun and because you know we love sprinkles around here. I'm happy to report that my child (and at least one other) whole-heartedly approved of them. Teehee. 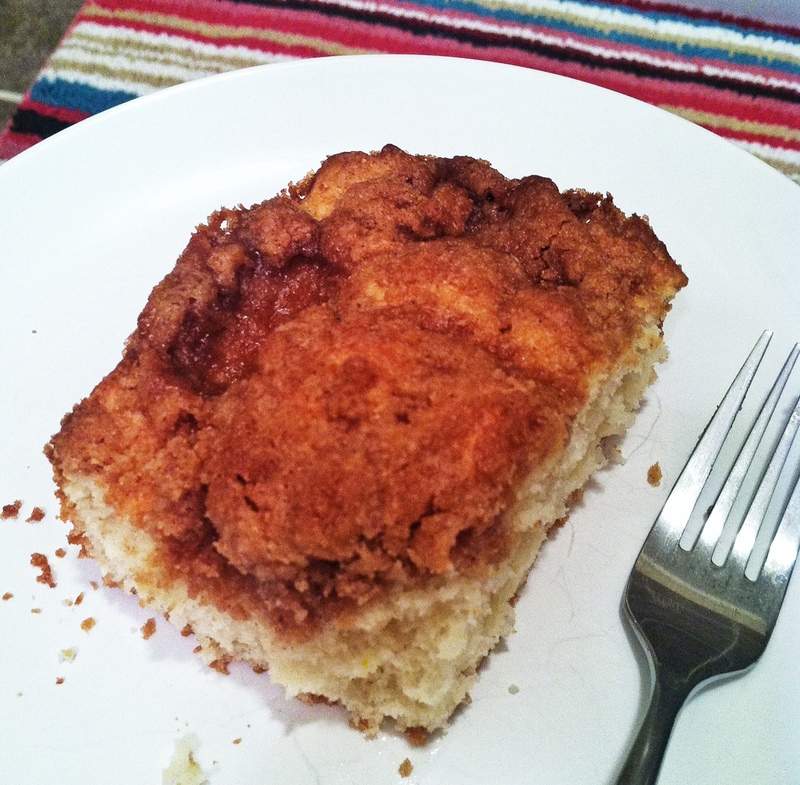 Yup, coffee cake from a mix. The thing is that this is so easy and such a classic, it's hard to go wrong with it, especially on the weekends when you want something yummy without working too hard for it. Best eaten on the day it's made (not a problem at our house). I found this recipe not on the back of the Bisquick box but over at Allrecipes and changed it just slightly. I might also throw some chopped pecans in the topping next time because they just make everything a little bit better ;-) Have a great weekend! Grease a deep pie plate, 8"x8" square pan, or 9"x9" square pan. I used a 8x8" glass pan. Mix dough ingredients and put in baking dish. Mix topping ingredients with a fork or pastry mixer until crumbly. Spread topping mix over dough and drag a butter knife across like you were making a tic-tac-toe board several times.